The teacher purposefully plans, models, and explicitly demonstrates the important cognitive strategies for comprehending and responding. 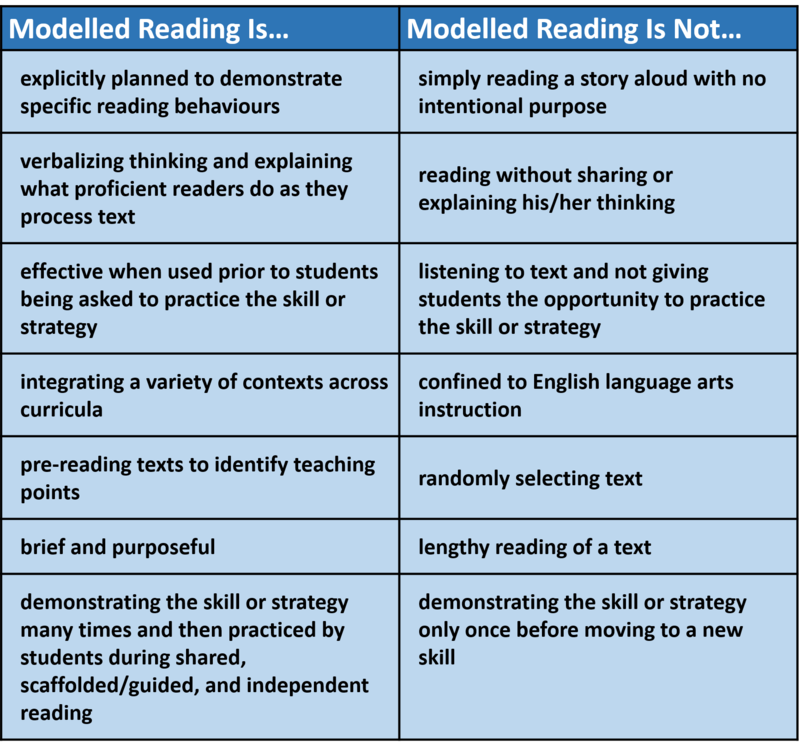 During a modelled read, the teacher may ‘think aloud’ to demonstrate the use of reading comprehension processes or word identification strategies. Selected texts can be brief, sharing as little as a sentence or a single paragraph, and can be revisited for multiple purposes. 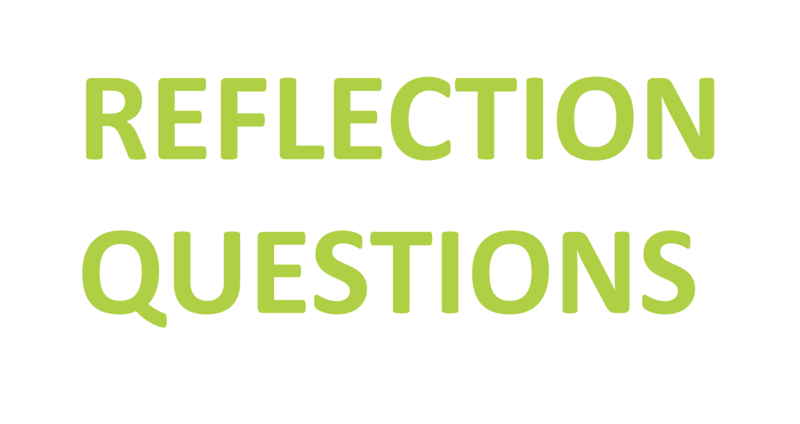 • reflect formative assessment data and incorporate curricular expectations across disciplines. 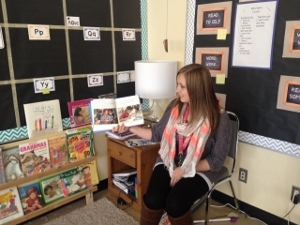 • demonstrating reading for a purpose. 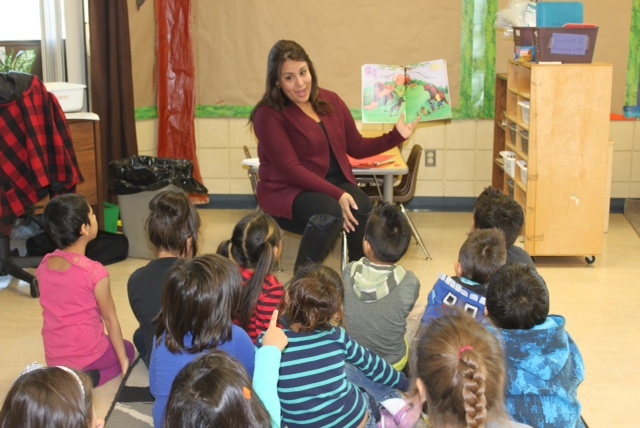 • Formative assessment of a student’s application of the skills and strategies explicitly demonstrated in a modelled read can be assessed through teacher observations, conversations with students, and student products.